France defender Laurent Koscielny has announced his retirement from international football at the age of 33. The Arsenal man agonisingly missed out on France’s historic World Cup triumph in the summer after suffering a long-term ankle injury against Atletico Madrid in the Europa League back in May. 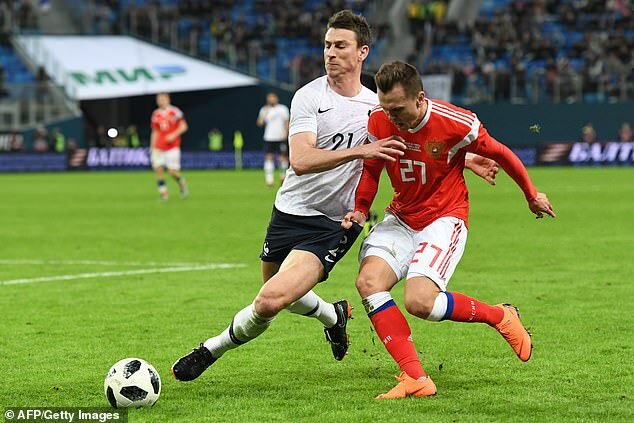 Koscielny watched on with a sense of what could have been as well as overjoyed happiness as his France team-mates lifted the World Cup in Russia. And following France’s summer of success, Koscielny has now called a day on his international career, citing his disappointment at head coach Didier Deschamps for not staying in regular touch during his injury hell. When asked by Canal+ whether Deschamps kept an eye on his progress, Koscielny replied: ‘He (Deschamps) called me once for my birthday in September. Otherwise, no. Koscielny made an impressive 51 caps for his country between the years of 2011 to 2018. And the Arsenal man has now that the revealed the psychological damage of missing out on the World Cup was harder to get over than the injury itself. The centre back added: ‘France’s World Cup victory did me a lot more psychological damage than my injury did me. ‘I think that I have given everything I can for France, I am 33, I have done 2 Euros, 1 World Cup. France has a great generation of great players now. My injury does not change my decision. For Les Bleus, it is finished.